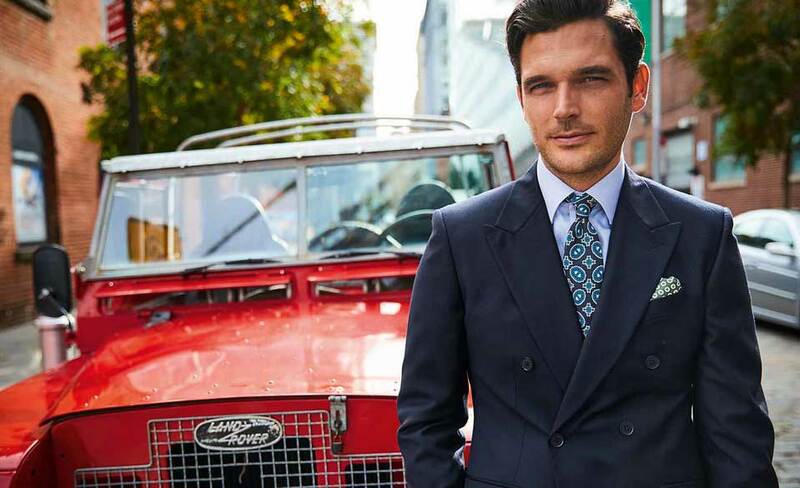 Looking for job interview outfits can be almost as stressful as the job interview itself, so it’s a good thing you stumbled across this article to let Uncle Tyrwhitt sort out your dilemmas. 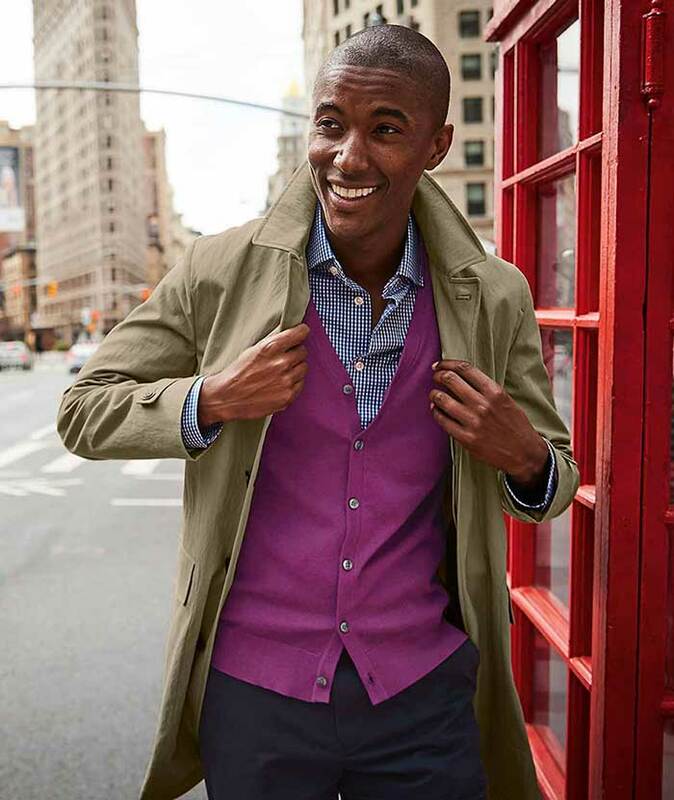 Before we get into what to wear to a job interview, let’s cover some basics. You absolutely must be properly groomed, ensure that nothing you are wearing has any stains or marks, and that your clothes are freshly pressed. WHAT STYLE INTERVIEW DO YOU HAVE? 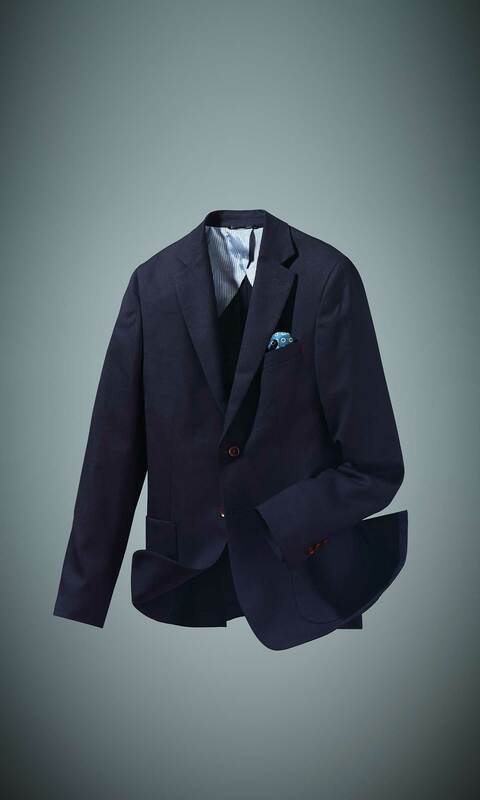 Sharp tailoring for a sharp brain. 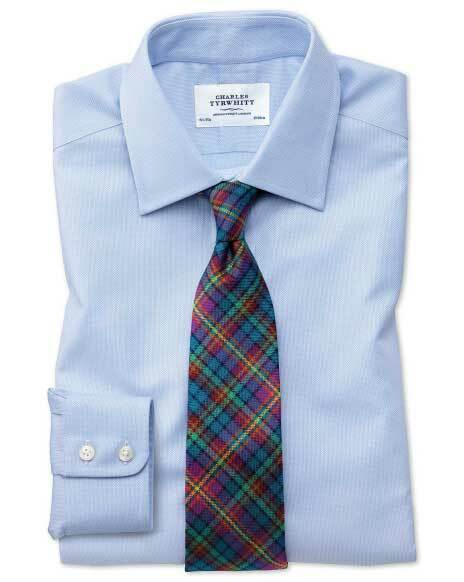 A suit, tie, and shirt are classic job interview clothes. How to dress for a job interview will depend on the business, but most will be in a formal setting, and if you are unsure it is always better to be overdressed. 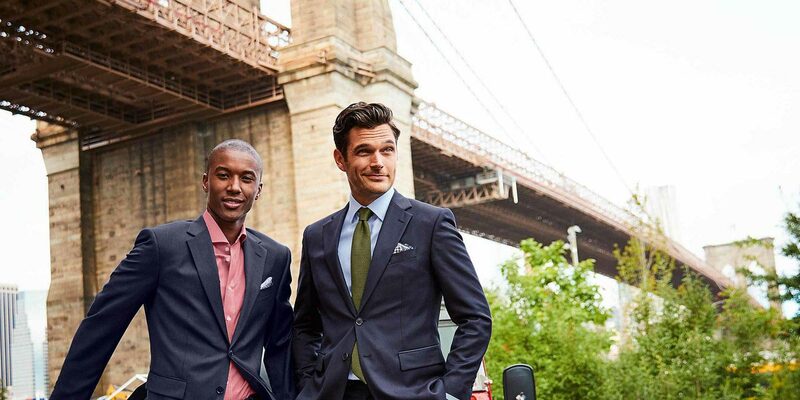 Your suit should fit you well, be navy or charcoal grey, and be paired with a shirt and tie. 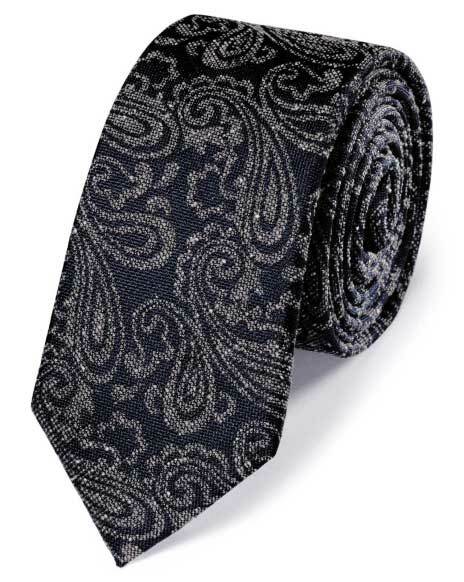 For job interview outfits stick to safe options for your shirt and accessories – a white shirt will always look right and a novelty tie will always look wrong. This is where people start to get confused about job interview clothes. 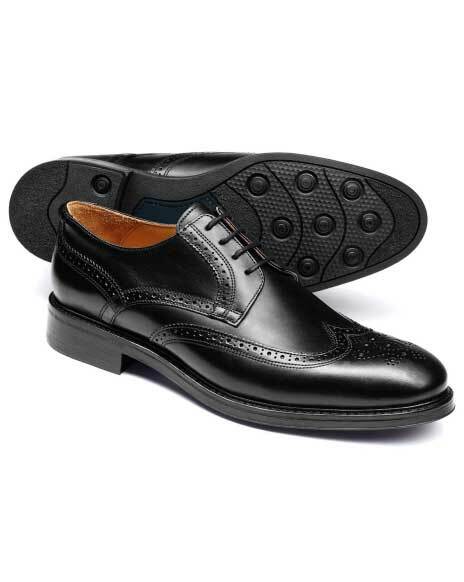 The key thing to remember is that you are still better off erring on the side of safety (you can take a look at The Definitive Guide to Business Casual here) and that means no jeans, no t-shirts, and no black. Chinos or wool trousers and polished shoes should cover your bottom half; a shirt is still required on top, although you may lose the tie. 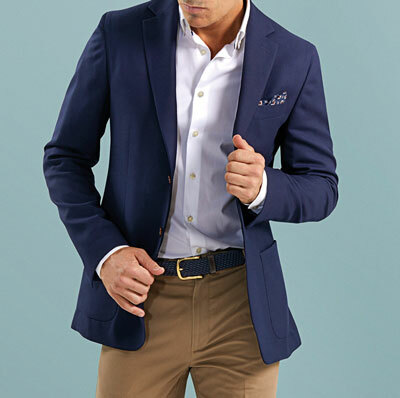 Finally, a blazer or jacket will give your job interview outfit a professional finish and you should feel free to add a colourful pocket square to pull your look together. Regardless if the job interview dress code is ‘casual’, it does not mean you can turn up wearing the same thing you wore to the footie on Saturday. 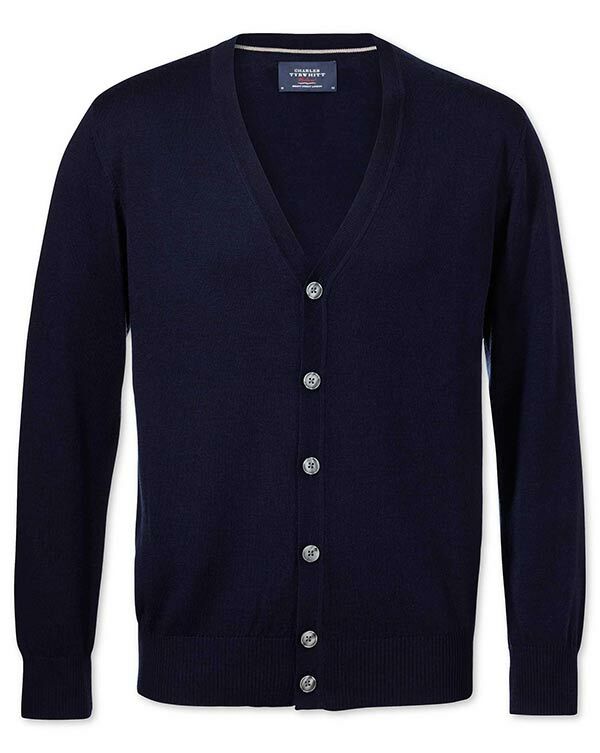 We know shirt and tie might not scream ‘casual’, but there is little else conventional about this outfit. 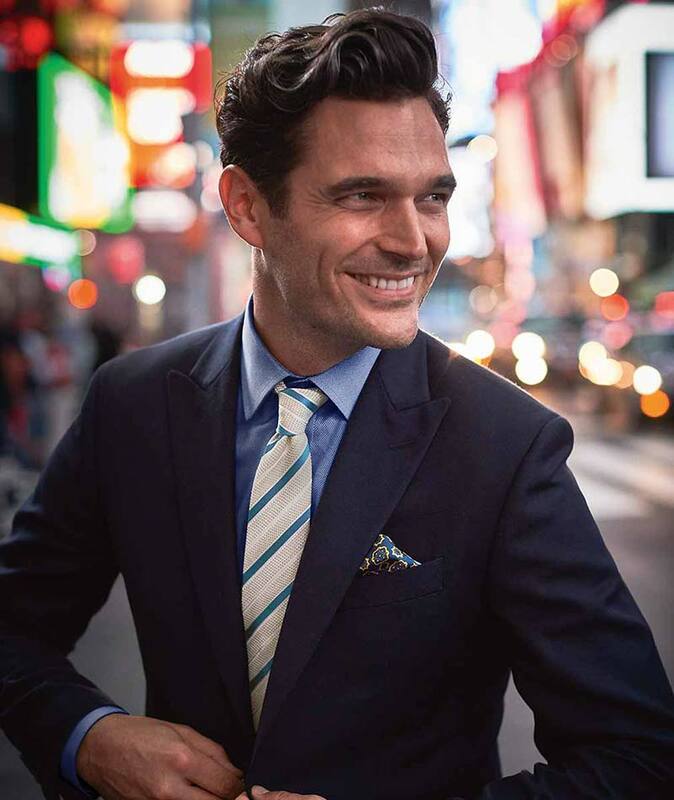 By choosing different weaves and clothes – a knitted tie, button-down chambray shirt, and merino blazer – all the elements are immediately dressed down. This works for job interview outfits because you look smart and sensible, but stylish and put-together (as long as you don’t wear trainers). There a few more aspects for us to cover before you bow out give us your attention for a little longer. When it comes to deciphering the dress code of the interview there is no need to play guess work. If it hasn’t been clearly stated you shouldn’t hesitate to ask HR or the recruiter booking in the interview; if you are still unsure don’t be afraid to do some light detective work and take a peek at the best-dressed popping out for lunch. Now, we wouldn’t want you to look like a drone would we? ‘Safe’ combinations are very different to ‘boring’ ones. 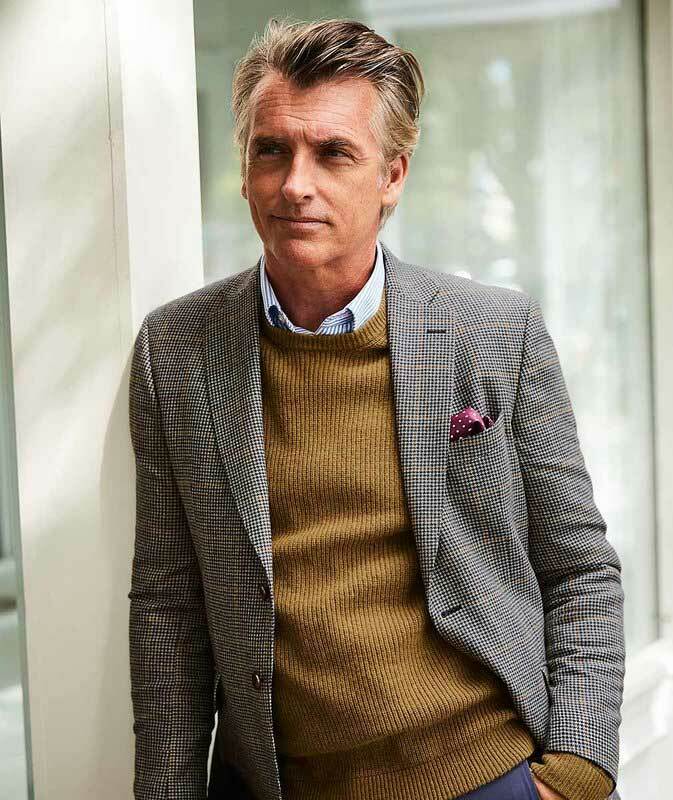 Choose your favourite tie full of colour and pattern, or pick a textured shirt with a pattern woven in through the threads (like this season’s Step Weave). 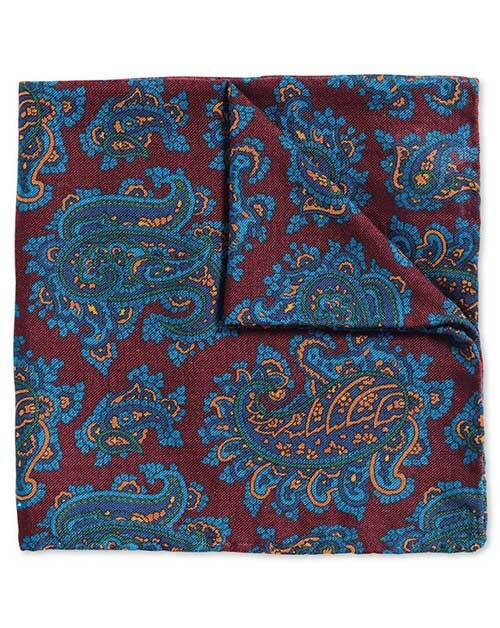 A paisley tie is a menswear stalwart which won’t arouse dubious looks but will add a little ‘you’ to job interview outfits. If you are someone who frequently likes to dress a little bit bolder and with a little more personal style, then this one is for you. Ultimately, how to dress for a job interview is totally up to you, but we will say this: stick to classic shapes, classic tailoring, and classic colour combinations. After that you have free reign to mix it up. 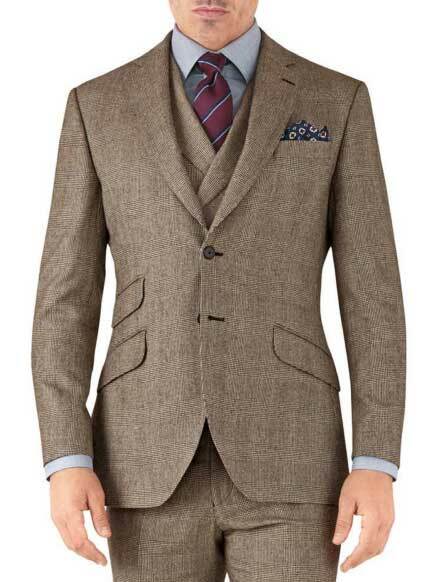 A brown suit isn’t a traditional job interview outfit but a three-piece suit is immensely smart, so a combination of the two still works. Get our gist?